This is turning into a pretty awesome week for new music, as I watch the blogs pick up new tracks from a couple of my favourite bands. Washington, DC duo GEMS are back with the first new music since their stellar four-track EP (Medusa). “Living As A Ghost” comes from their full-length called Kill the One You Love (out October 30th via Carpark Records) and sounds a little bit heavier, less chill than their previous work. 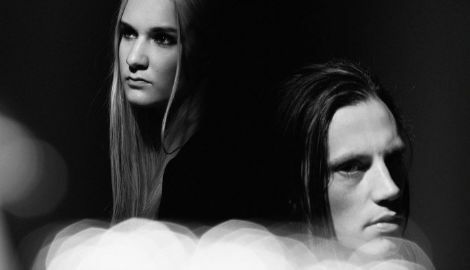 Fans of another duo (Phantogram) will dig this.